Dewhirst, John. "Nuchatlaht". The Canadian Encyclopedia, 16 October 2018, Historica Canada. https://www.thecanadianencyclopedia.ca/en/article/nuchatlaht. Accessed 20 April 2019. The traditional territory of the Nuchatlaht includes a large portion of Nootka Island, Nuchatlitz Inlet and part of Esperanza Inlet on the northwest coast of Vancouver Island, BC. The First Nation operates 11 reserves totaling 92.20 hectares. Oclucje is their main reserve, located about 12 km from Zeballos. As of 2018, the total registered population of the Nuchatlaht was 163, with the great majority of people (131) living off reserve. The Nuchatlaht subsisted mainly on salmon, halibut and other local fish species as well as inland game and vegetation. The Nuchatlaht travelled to and from fishing sites on foot or in dugout cedar canoes. In pre-contact days, the Nuchatlaht consisted of independent groups who, decimated by disease and warfare, eventually amalgamated. Today, the Nuchatlaht are led by hereditary chiefs (Ha’wilth) and elected leaders. Nuu-chah-nulth nations have had a strong ceremonial culture, characterised by feasting and entertainment with song, dance, contests and theatricals (see also	Potlatch). The Nuu-chah-nulth have also been known for their stunning woodwork, including canoes, totem poles, multifamily houses and other products hand-crafted out of fine cedar (see also Northwest Coast Indigenous Art	and Architectural History: Indigenous Peoples). 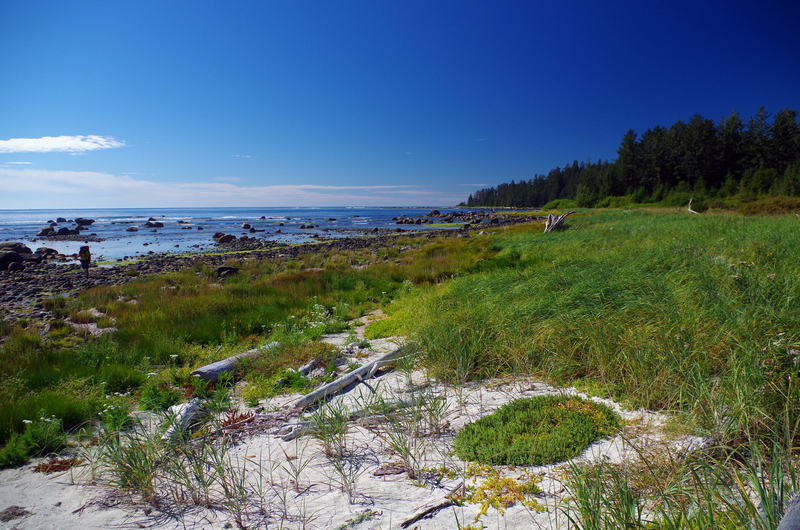 The Nuchatlaht speak a dialect of Nuu-chah-nulth (Nuučaan̓uɫ) known as Northern Nuučaan̓uɫ or simply Nuchatlaht. In February 2016, Alban Michael, the last fluent speaker of Nuchatlaht, died at the age of 89. Alban was raised speaking the language and only learned English at residential school in Tofino. Before his death, FirstVoices — an organization that seeks to revitalize Indigenous languages — recorded Alban speaking upwards of 1,124 words and 612 phrases in their linguistic database (see also Northwest Coast Language Families and Nuu-chah-nulth: Language). 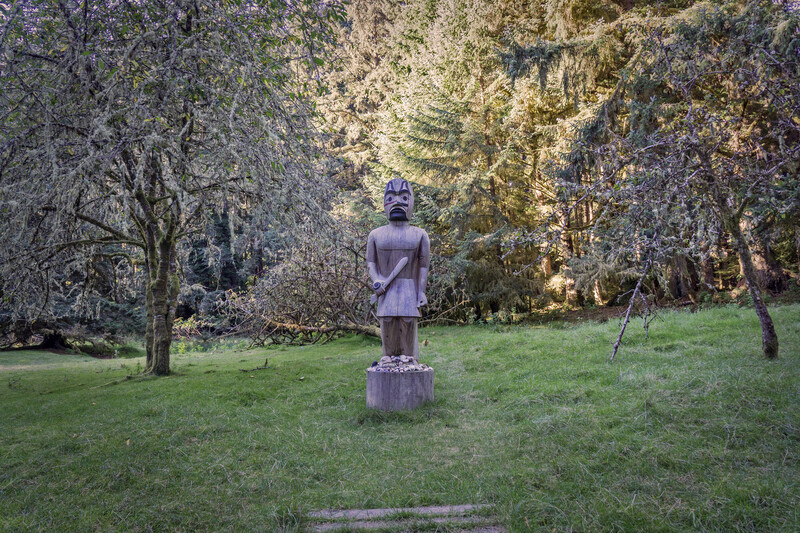 The Nuu-chah-nulth belief system centres on a Creator being as well as spirits whose powers can be used to bring peace and fortune. The Nuu-chah-nulth believe that all life forms have a spirit, and should therefore be respected and appreciated. Shamans	ensured the spiritual health of the people by practising ancient medicines and healing rituals to cure illness and restore balance to the soul (see also Indigenous People: Religion and Spirituality). The Nuchatlaht made contact with European fishers and traders in the late 1700s. Increased European settlement in Nuchatlaht traditional territories meant significant changes for Nuchatlaht daily life. Forced onto reserves, the Nuchatlaht were also made to assimilate to White, Christian culture through federal programs and policies such as residential schools. Nuchatlaht culture has survived in spite of these dark moments in Canadian history. The Nuchatlaht launched a land claim in January 2017 for recognition of their rights and title to traditional territories. Nuchatlaht attorney Jack Woodward called this case “historic” because it is the first to apply the Tsilhqot’in decision (2014), in which the Supreme Court of Canada	granted Aboriginal title. The case is ongoing. The Nuchatlaht are one of the 14 nations represented by the Nuu-chah-nulth Tribal Council, an association founded in 1958 that provides various services to approximately 9,500 registered members, including child welfare, education, employment training and other socio-economic programs that support health and development. 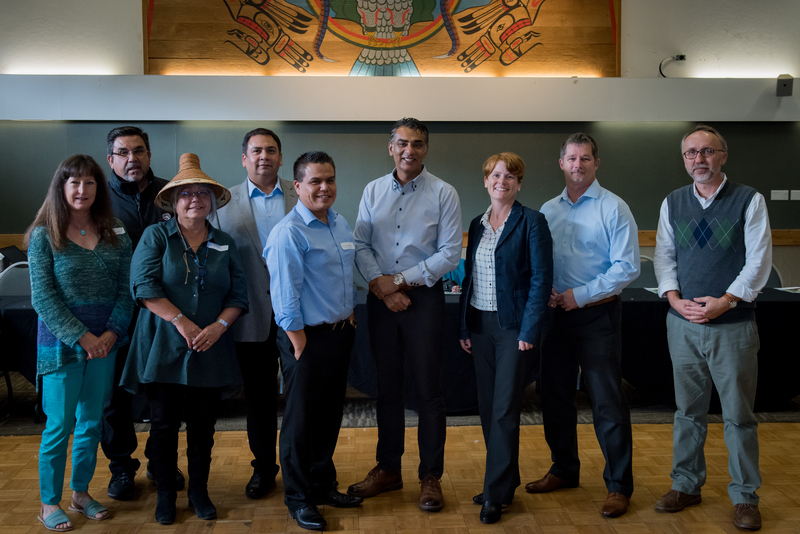 Along with other Nuu-chah-nulth Tribal Council nations, the Nuchatlaht are currently in stage four of a six-stage treaty process in British Columbia	to attain self-government. First VoiceExporez les langues autochtones au Canada. NuchatlahtApprenez-en plus au sujet de cette Première Nation.